Soutenance de thèse de Jasmine Rita Petriglieri (UNC), ouverte à tous. Under humid tropical to sub-tropical conditions, weathering processes and supergene mineralization are the main responsible for genesis and release of asbestos fibres. The New Caledonia is one of the largest world producers of Ni ore that is formed by the alteration of ultramafic rocks. Almost all outcrops of geological units and open mines contain serpentine and amphibole, also as asbestos varieties. Mining companies must therefore deal with the health concerns related to environmental exposure to mineral fibres. 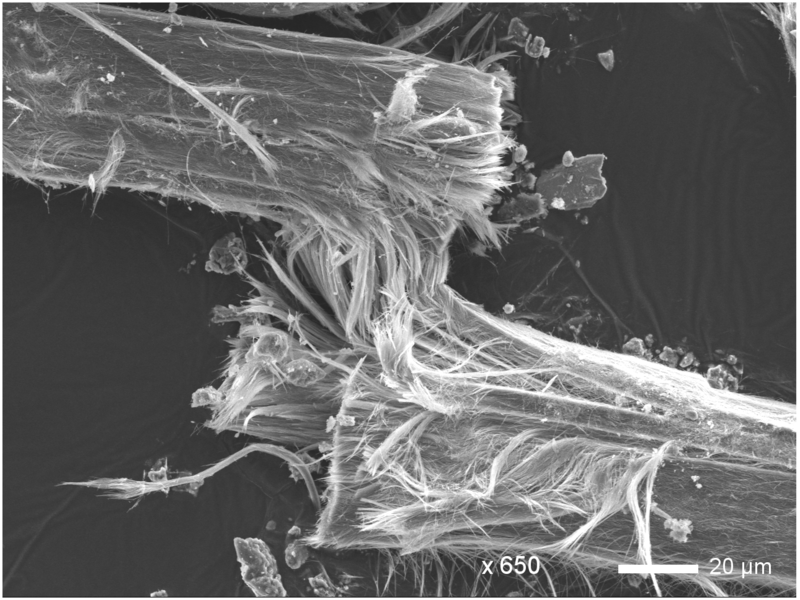 At present, there is not a technique capable to instantly characterize an asbestos fibre in situ, providing information about size and distribution, morphology, chemical composition and alteration grade. However, the acquisition of all these parameters is necessary for determining the health risk associated to fibre exposition. The employment of specialized tools such as Polarized Light Microscopy associated to Dispersion Staining (PLM/DS) and portable Raman spectroscopy has proved extremely effective in the improvement of performance and rapidity of data acquisition and interpretation, even in the presence of strongly fibrous and altered samples. Regardless of the alteration state, a great variability in morphology was observed (SEM investigation). Preliminary geochemical analyses have proved that the physical-mechanical effect of fluid circulation within the porous of fibres and lamellae, associated to chemical elemental exchange at rock/waters interface, favoured the dissociation of fibres and their release in the environment. A focus was set on fibrous antigorite, recognized as asbestos only by Caledonian legislation, but still not by European law.